Today’s organizations turn to the cloud for all types of productivity-gaining tools – including security. Features such as security for mobile users and data loss protection are key, but it’s also important to separate fact from fiction when looking at the infrastructure of the provider. 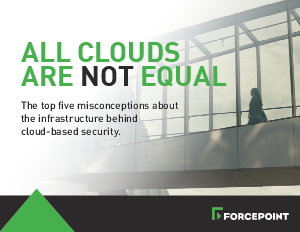 Download the ebook to discover five common misconceptions about cloud-based security infrastructure, and what you should really be looking for in a cloud-based security solution.